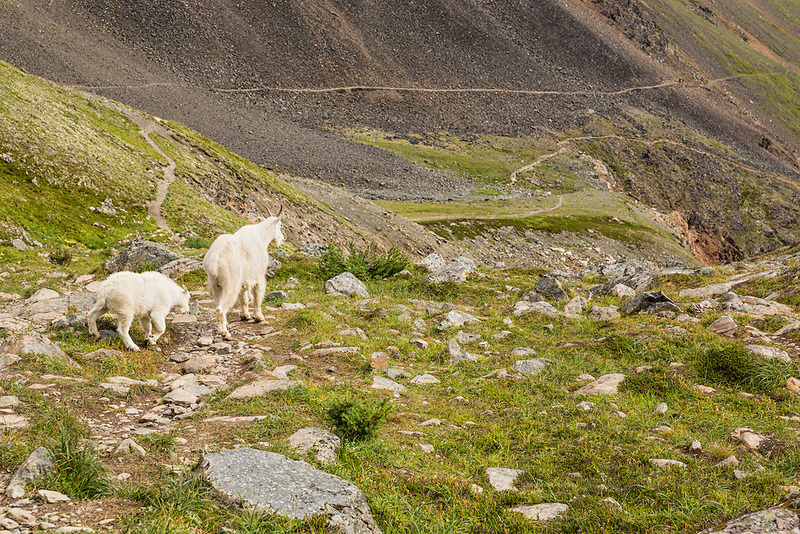 Mountain Goats (Oreamnos americanus) grazing along the Crow Pass Trail in Chugach National Forest in Southcentral Alaska. Summer. Afternoon.